DUBAI – Vital signs of passengers entering Dubai will soon be screened while they pass through smart gates equipped with thermal cameras at the airports, Khaleej Times has reported. 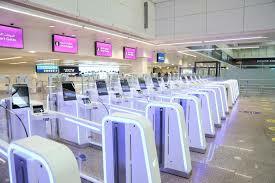 The gates will also help share data of passengers entering United Arab Emirates (UAE). The upcoming ‘Smart Health Tracks’ are currently at the proof of concept stage and will be tested soon. A model of the smart gate was displayed at the Arab Health Congress and Exhibition that kicked off yesterday January 28. Ali Al Ajami, director of IT department at the Ministry of Health and Prevention, told the daily that the step was being taken to “prevent epidemic diseases”. “It is like a normal smart gate which we will fit with thermal cameras that can read body temperatures,” he said. The Smart Health Track has been launched in collaboration with the General Directorate of Residency and Foreigners Affairs, Dubai. The thermal cameras will be capable of detecting passengers’ body temperature by scanning their face and body thermal print. Data collected and passenger details will be registered on a shared database. This will grant the Health ministry access to passengers’ data, which will be used when they visit any hospital in the UAE. The ministry undersecretary Dr Mohammad Salim Al Olama, explained that while the project facilitates data exchange, it guarantees “highest levels of privacy and data security”. DXB passenger traffic increased 1 per cent in 2018 to reach 89.1 million compared to 88.2 million in the previous year. Dubai became the world’s busiest airport for international passenger traffic in 2014 when it overtook London’s Heathrow Airport. Commenting on growth in DXB passenger traffic, Saj Ahmad, chief analyst at StrategicAero Research in London, said home-grown airlines Emirates and flydubai proved instrumental in delivering economic growth to the city. 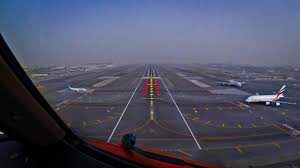 Meanwhile Khaleej Times reports that Dubai Airports will close DXB’s Southern Runway for an upgrade between April 16 and May 30, this year. During this time 25 per cent of the Emirates’ airline flights would be cut off.